It's Wednesday and that means it's time for Danni's Flutter By Challenge! 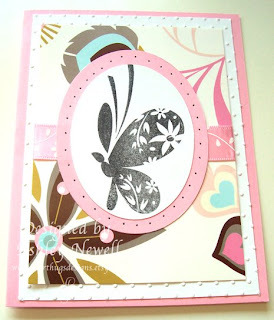 This week the challenge was to make a card with a butterfly and also use pink. Particularly easy for me since I adore the color pink! I used Madelynn's Twinkling Tuesday sketch for this card. I love this little girl and her sketches! For my card, I used that amazing Me and My Big Ideas paper that I'm so in love with. And I got this new set to play with specifically for Danni's challenge, it's from Basic Grey! I didn't even know they made stamps! We'd love if people played along with the challenge! If you upload to PCP or SCS please use keyword FBW43. ETA: Please visit all the other Featured Stamper's blogs to see their creations. Their links on are the side of my blog under Danni's sweet little button. I love the layout! supah cute! Ashley, I just love that stamp you used. Way cute! Ashley, this is beautiful, and what a great lay out. Hi Ashley this is so pretty. That butterfly is very pretty love the flowers in her wings. 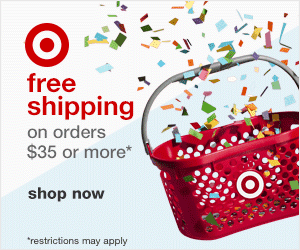 Your layout is great, love your card! You did a wonderful job on both the Twinkling Tuesday Sketch and the Flutter by challenge. I really love that Flutter By where did you get it??? I also love all the pink!!! So super creative this week love it!!!! Love the black with the pink, so stunning and that is a great flutter by! What a cool butterfly! This card is lovely Ashley! very nice!! love that graphic buttefly with the patterned paper! WOW awesome card! LOVE the butterfly stamp you used!